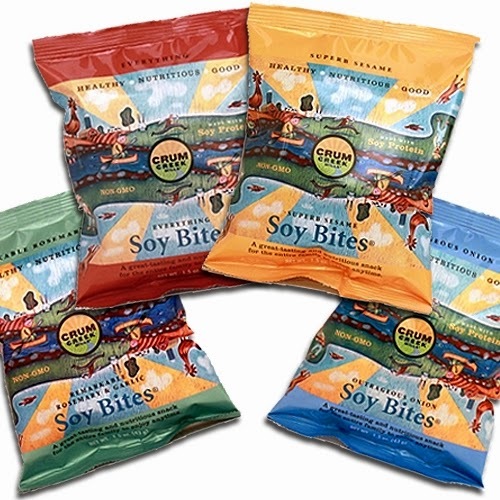 Crum Creek Mills is a new brand i've never heard of until now and I was pleased to find out that these snack sticks are made of NON-GMO soy, packed with protein, as well as that they are just plain healthy for you. These will make excellent go to snacks when I really crave something crunchy and salty like a chip, without the fat and calories! 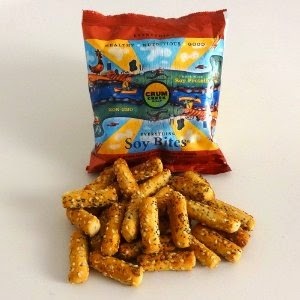 There are so many ways to enjoy Crum Creek Mills Soy Bites. They're delicious on their own, of course. You can also use them for dipping hummus, light cream cheese, a bit of peanut butter, jelly or whatever else you like. Available in 4 incredible flavors: Remarkable Rosemary and Garlic, Superb Sesame, Outrageous Onion and Everything! (A scrumptious blend of poppy seeds, sesame seeds, onion, garlic and salt). Get yours today!